Harvard’s 18th annual International Development Conference was held in Cambridge on Saturday. I had the opportunity to attend and sit in on some great panels about education, women, and corruption- all related to development. Speakers from the UN, the World Bank, USAID, and even one of Time Magazine’s top 100 most influential people in the world were there to speak about the ways in which we can and either are or aren’t pushing for development in world whose population has exceeded 7 billion people. A previous post I wrote, addressed the 2015 Millennium goal of achieving universal primary education access for every child in the world. I wrote about the fact that this vision is far reaching, and the post addressed ways in which certain organizations were working toward accomplishing it. A new idea was brought to light as I sat in on the education and development panel and listened to some very esteemed speakers discuss the problems that we are seeing today. 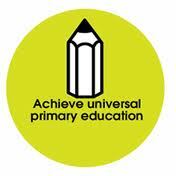 A key idea that was raised was the fact that achieving universal primary education for all is simply not enough. While this might seem like a pretty simple and straightforward claim to make, there is good reasoning for it. The main idea for the current goal can be summed up by saying “quantity over quality.” We’re shooting for worldwide access, but how truly effective is it? By focusing solely on providing education, more children are being sent to school. However, success rates have barely budged. The percent of school children who score well on basic skills tests is most definitely not rising at the same rate that access to education is. Yes, kids are being sent to school, but why put so much effort into making that happen when there is no follow up? Moreover, getting the most marginalized populations of children into school is still as much of a challenge as it ever has been. The rise in rates of rural, poor, and especially female school-age children has also not risen at the same rate as overall access has. One question raised during the panel was why we are not focusing as much on secondary school as we are on primary school. The answer is that not enough children receive a full primary education to make putting time and effort into secondary school access worthwhile. This just reinforces the fact that without quality, quantity really does not make that much of a positive change. The panelists noted that changes are being thought out for what the next education related millennium goal might be. The most worthwhile idea that is being pressed is moving the goal from being “education for all” to becoming “learning for all.” We need access plus learning. Without focus on the overall picture, we will never move forward. Instead of simply looking at the numbers of children in school, we need to assess attainment, student test scores, skills, and competencies within each community. Looking for learning results rather than enrollment numbers alone is what will bring education and development in general to the next level. I will be interested to see how the new millennium goals develop and play out. Will universal education access be changed to universal learning for all? Will we see better results if that happens? I have confidence in the proposed goal and I hope to see it brought up again in the future.